Outer Limitz Orlando caters to the child in every one of us!!!! Young and old alike can literally BOUNCE OFF THE WALLS in our 24,000 square foot state of the art family entertainment center. 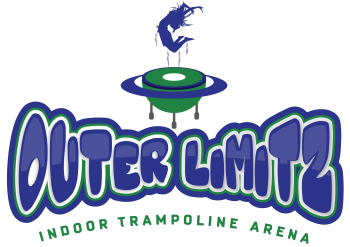 Get ready for ENDLESS FUN in our Arena Style Main Trampoline Jumper with rebounding side walls, State of the Art Foam Pit Jumper, Dodgeball Arena, Basketball Slam Arena, Netted Ropes Obstacle Course, and Spider Zone Climber. You can also enjoy snacks from our Café and play games in our Arcade. *Everyone MUST fill out a waiver and photo ID is required for all adults. COME ENJOY YOUR SPRING BREAK JUMPING WITH US! WANT TO LEARN MORE ABOUT OUR OUTER LIMITZ?